My exhibition FOOD FOR EYES is open for 5 April to 16 May in Gallery Loop in the Wastage Food Restaurant in the Lapinlahti ex-hospital area, Lapinlahdenpolku 8, 00180 Helsinki. Open Mon-Fri 11-14, Sat-Sun 11-15 (19 and 22 April closed). I continue with the themes of my exhibition Of Harvest and Smoke Sauna: Fierce weather incidents are these times trying both the nature and people around the world. Drought is destroying food plants, while wildfires, floods and storms are tormenting people. To my exhibition I made reliefs and wall installations from dried fruits and vegetables as well as from fluids. Orange Sun, 2019. Plywood and tangerine peelings. In honor of Minna Canth's 175-year jubilee I am organizing an environmental community artwork on the courtyard of Kanttila building for summer 2019. 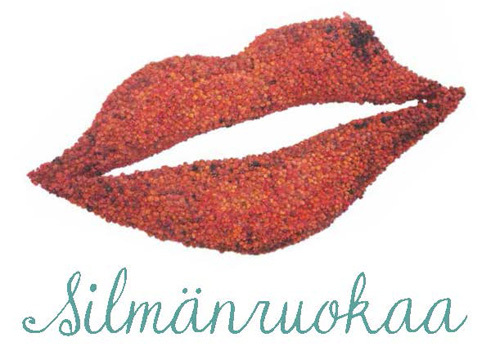 The Kanttila Face Book will be made of images and plants. The environmental artwork is a continuation to the MORE BEANS! 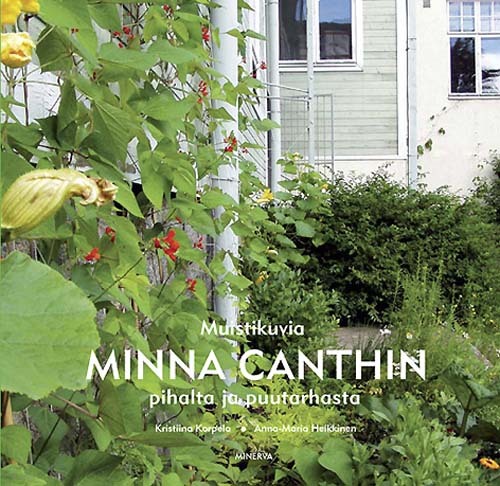 garden, from which the book Kristiina Korpela & Anna-Maria Heikkinen: Muistikuvia Minna Canthin pihalta ja puutarhasta (Images from Minna Canth's Yard and Garden, in Finnish) was published (Minerva Kustannus Oy 2007). My video work Plastic Sea is present in the reboot web exhibition by the Photography and Media Art Association Valmed ry. Mylly (Centre for Creative Industries, Kuopio) got new working space from Syrjälä, behind the Harjula primary care hospital. So thus got I too, on the first floor across from a grove.